Give the VM at least 2 vCPUs and at least 2 GB of memory (I gave it 4). I also gave it 100 GB of disk space, but you can go with a lot less if needed (default of 16 GB should be plenty). When selected, make sure the Connect box is checked. First launch the console of the VM. The web console or the remote console is fine. Your call. Choose your language. Note if this does not appear, that means you forgot to check the Connect button. If you did. Shut the VM down, go to edit settings, CD/ROM and then check the Connect at Power-On Option and then boot it back up. 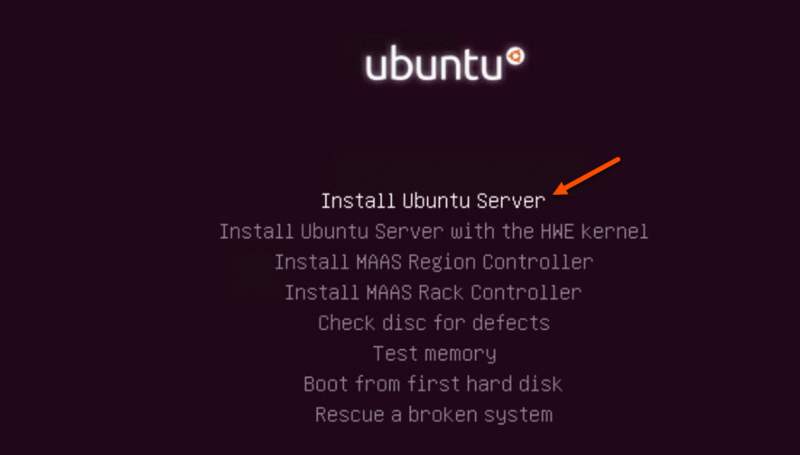 Then make sure “Install Ubuntu Server” is highlighted and then press enter. Next do not auto-discover keyboard and keep No selected and move on. Choose the type of keyboard and press enter to continue. 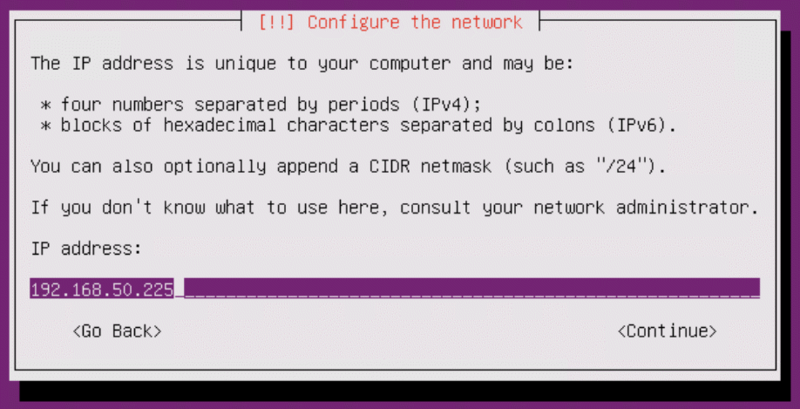 Press enter to continue and Ubuntu will look for a DHCP address. If it does not find one, then you must enter one in manually. If the shown timezone is incorrect, change it to the right one. Next create the file system. To keep it simple, let’s just use the “Guided – use entire disk” option (which is not the default). This will format the virtual disk. Wait for it to complete (takes about a minute). The next step is to choose the services–the only one you really need to add here is SSH server. Arrow down to it, then press the space bar to select hit. Hit enter to continue. When complete, authorize the installation of the GRUB boot loader. Then changing the CD/DVD drive back to “Client Device”. Click OK. Then let the VM reboot. When it comes back up. SSH into your VM. Copy and paste that whole command at once. You will need to confirm in the middle by entering y on the keyboard and pressing enter. Then we need to add Dockers GPG key. Yes the command ends with a solo dash. This is a one liner. Once again, this is a single copy and paste. Copy that whole operation above at once and then paste it into the SSH window and press enter to run it. The last step before installing the collector is configuring the logs to rotate hourly so they can be phoned home. Before you can install the collector, you must create it in Pure1. So log into Pure1. Click on VM topology on the left panel. Then click on the gear icon in the top of the panel that appears. Give it a name (it is just a friendly name, it does not need to match the collector name). Hover with your mouse of the new collector and then click the View Installation script icon. Click copy to copy the script. Go back to your SSH session and paste it into the collector and hit enter. Make sure to type in sudo before pasting it. If you forget, the script will fail and remind you do to so. Now the last step is to simply authenticate vCenter. You can use read only credentials if you choose. We did this in the array, are there any pros an cons for having a vm vs direct in the array? Sorry for the delay in responding. Hopefully that helps. Let me know if you need more clarity. I have no questions, the answers is: read all your blogs then you will find all the answers. 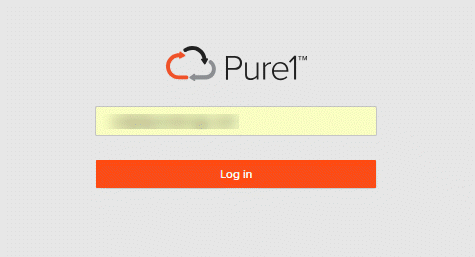 I am a new client of Pure Storage and was quite disappointed that this is not provided as an OVA. 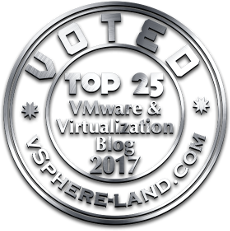 I have been working with Pure Support who was to create the VM on my behalf due to certain steps not working out for us in the previous guide. Still waiting on feedback. 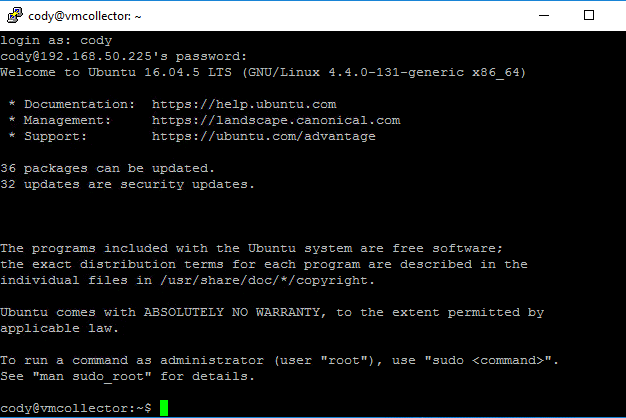 18.04.1 LTS is out, do we have to install 16.04.5? So much detail…..so good! Thanks! I’d like to add multiple vCenters. 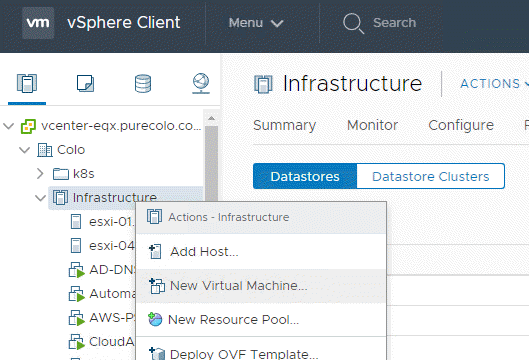 Do I need a separate collector for each vCenter instance? When I configure the logs to rotate, I receive this message. Any ideas? Which was different than I got on the other two successful ones I set up. Now I’m getting this and I’ve run the script twice. Error: Unable to find Pure Storage VM Analytics Collector. Please run the installation script. Try adding sudo before purevmanalytics list. During collector configuration I am using a read only domain account for username and password. Don’t seem to be workin. Account need to be local account on the VC? Solution was using quotes around the user name. Ah was going to look into this today. Thanks for letting me know–I will updates my posts. I get errors that it can’t find my vSphere host, yet DNS resolution works in my VM. the installer suggested that 127.0.0.1 might not work in containers, so i configured an instance of unbound to act as a local resolver (with a stub zone set up to forward to my local AD DNS for local host names) and still no joy. Any ideas? What we have is working well, but we see high latency reported and when you track it down to a disk, that disk has a very low IOPS count. Is there plans to allow filtering for these situations where a minimum IOPS is required to validate latency metrics? This is a good idea–an issue I have seen personally as well. I will keep this in mind for the next update. Thanks!! Just a quick note, for those of us on network 172.16.x.x, docker also uses 172.16.x.x for the bridge network (I think). Once I get docker installed, I loose connectivity to my VM due to routing issues. I haven’t figured out the fix, not a Docker guru but I am determined to figure it out. OK. Thanks. I missed that in your blog. But why is my FA not reported? 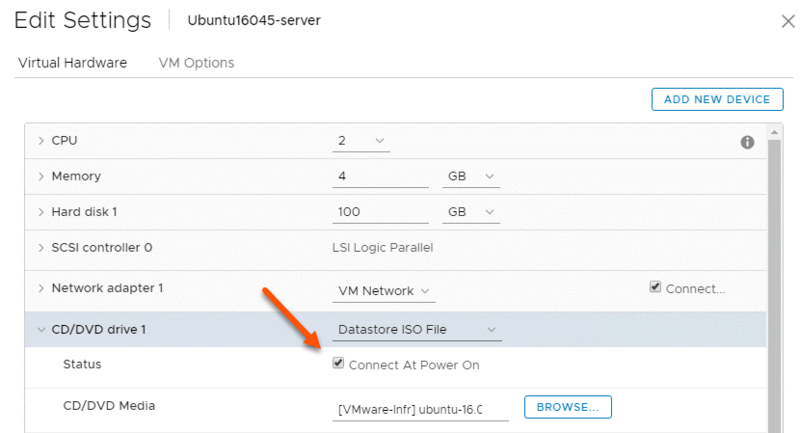 There is also a VMFS Datastore on it. As i did not have any active vm stored on the VMFS Datastore nothing was reported through the purevmanalytics about this volume and the FA. I now moved the collector-vm to the VMFS Datastore and now i get the FA and the volume with the VMFS Datastore reported to Pure1 Manage VM Analytics. What would be involved in making everything self-contained in the containers so that they don’t rely on scripts or host dependencies? I’m working on a VIC POC and it’d be cool to run these directly in VIC without setting up a separate Docker host. What is the command line to disconnect Off-array collector to Pure1? I’ve got the collector installed, it’s collecting data, I’ve triggered a couple of manual callhomes, but no data is showing up in Pure1. How can I tell if it’s making a successful callhome? However i don’t see topology view populated in my Pure1 please suggest if i am missing something. Can you confirm that logrotate is set to hourly? Is it still no dialing back. Anything of note in the CCM log? 3 upgraded, 0 newly installed, 0 to remove and 90 not upgraded. Sadly I am not a Linux guy (yet). So I am a bit lost as to what to do to fix this. Any help? 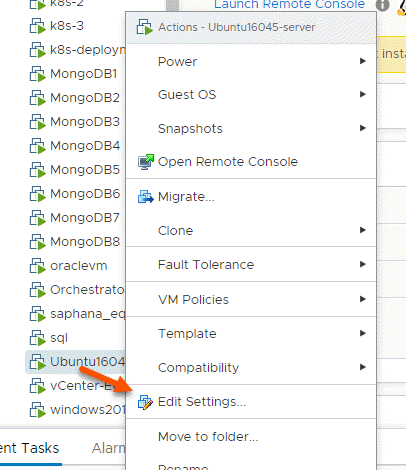 can we use the same VM for more than one vCenter installations? Yes–definitely. The only real reason to split them out is if it literally cannot reach all of the vCenters through the network it is on. When does the OVF/OVA become available? Just got out of a meeting talking about design/security of it. Too early to say when though, sorry. That answer is not known yet. If we are going to do this, we want to do it right and go above and beyond. So we are being very careful of the design. ok, it is running now. But, I see it is trying to reach via HTTPS some targets like ec2-52-40-255-240.us-west-2.compute.amazonaws.com. But the VM is behind our Internet Proxy. What should do? Where can I configure for? PS: for apt command it is defined in /etc/apt/apt.conf. 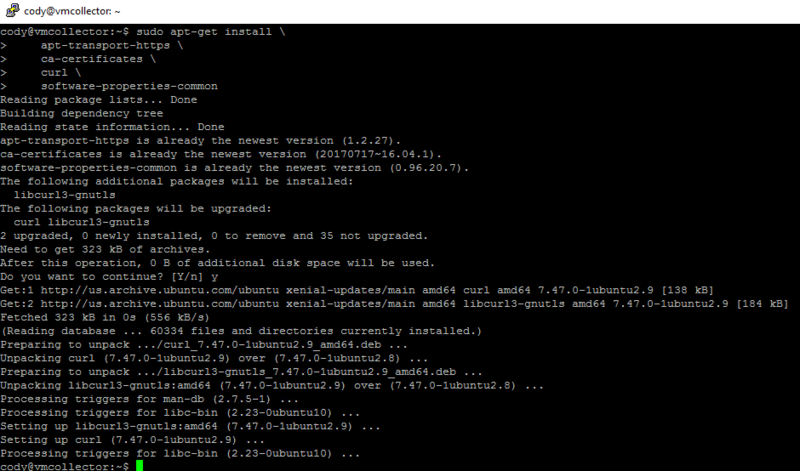 Before running the installation script with wget I have exported the environment variable only on the command line. I do not want to change /etc/profile at the moment. May be your application has an another way to use a proxy. I see bad consuments visually! Is it possible that it doesn’t work with vsphere 6.7U1? vm-analytics and vcenter are in the same subnet. It should be fine, I am using it with 6.7 U1. Anything in the log? Do we support NFS datastores ? “domain/username” syntax. What worked for me was “domain\username”. Well done, easy to follow. I had an issue authenticating my vCenter’s – it didn’t like my complex password; quotes didn’t help, I ended up dropping it off the end of the command and then copy/pasting it in at the prompt. Thanks! We are working on an OVA so this will be much better. Mind opening a support ticket on this? So this can be fixed? Sure – just created it. 2019-03-14 16:49:07.441 [taskScheduler-1] ERROR com.purestorage.ccm.transport.HttpClient Received error response from https://restricted-rest.cloud-support.purestorage.com/auth/1.0/appliance-certs. Status code: 400, request_uuid: 45f3ef68-85db-485b-a673-12a63ede9945. 2019-03-14 16:49:07.441 [taskScheduler-1] ERROR com.purestorage.ccm.security.service.CertMgmtService Status code: 400, Status Text: Bad Request. Any idea on how to mitigate that? 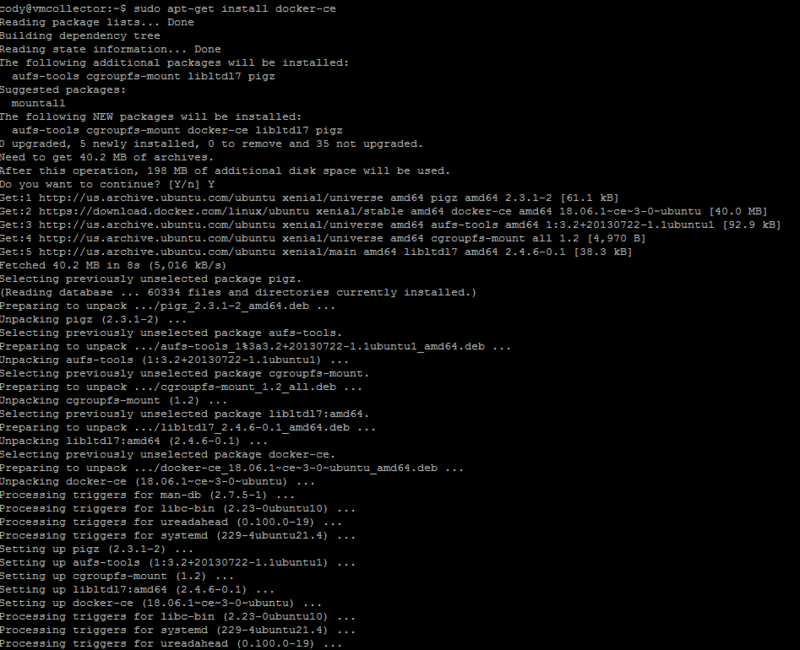 It wasn’t working so I did copy and run the one-line installation script a second time and restarted the VM. This sounds like it might have been a failed install that was restarted and caused the collector registration to collide. 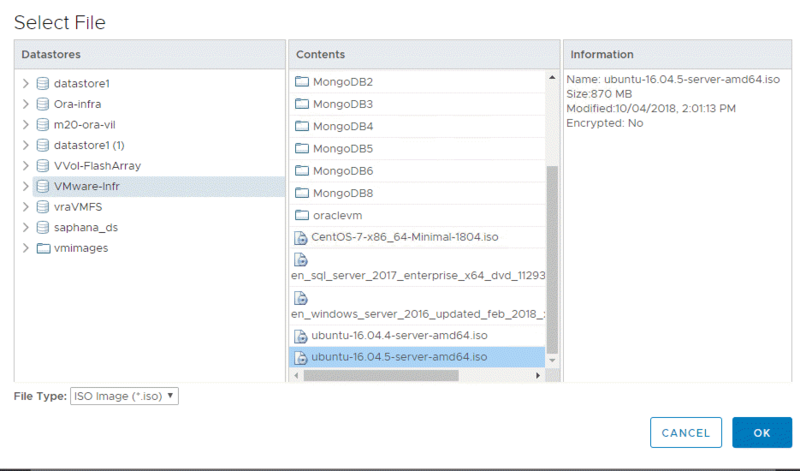 Sometimes the best solution here is the create a new VM, create a new collector registration and start from scratch. We are working on improving this process quite a bit in the next major release. It’s resolved – I had my network/security team open up some things yesterday. The existing deployment didn’t work, but I deployed again using the same IP and firewall rules and this time it worked. Could this container be run on a Windows Server that supports Docker containers?